Hey everyone! 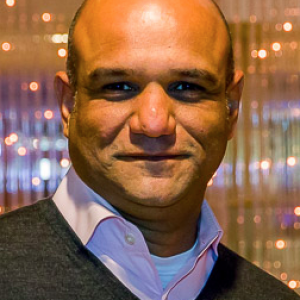 In today’s episode, I share the mic with Sameer Patel, CEO of Kahuna. Kahuna is a customer engagement platform that operates in some of the largest markets in the world. Tune in to hear Sameer share how Kahuna was named one of 2017’s Best Places to Work by The San Francisco Business Times, how he focuses heavily on company culture, and why narrowing your focus, but expanding your offerings, is the key to success. [00:48] Before we jump into today’s interview, please rate, review, and subscribe to the Growth Everywhere Podcast! [01:30] Sameer explains that Kahuna is a customer engagement platform and they work with a lot of great brands and businesses. [04:00] Kahuna applies a lot of data science and machine learning to make life easier for their clients. [05:00] Kahuna will help you make sure that first time buyer becomes a repeat customer. [06:37] Sameer has a lot of experience running a business and even started his own business and ran it for years before coming to Kahuna. [08:00] Kahuna had lost its way before Sameer got there. [08:15] His goal was to find out what the customers loved about their service, but also what they wanted. He then guided the company in that direction. [09:15] Kahuna was named one of 2017’s Best Places to Work by The San Francisco Business Times. [09:50] Sameer had a hand in creating this atmosphere. [12:00] It’s important to get people behind your company before getting them behind the product you are building. [12:45] Your company’s value system needs to outlive the products you build. [15:22] Kahuna spends a lot of time trying to understand massive customer problems and what unique things they can do to solve those problems. [16:20] 7 of the number 1 marketplaces in the world use Kahuna. [16:40] This includes places like Singapore. [17:20] Kahuna once onboarded 80 Million users in a single day without using any dev ops. [19:15] When you come to a company to help turn it around, you face a number of issues. [19:25] Morale is one of those issues. [20:10] Companies think you don’t have to focus on culture as long as you fix the product, but that is just not the case. [24:45] Narrowing your focus, but expanding your offerings is not a contradiction. [26:00] When you narrow your focus, you can become extremely well-versed in a given issue. [26:36] At Kahuna, they have gone way past basic marketing and having focused on building out features that drive analytics and liquidity for marketing. [27:00] Originally, Kahuna wasn’t focused on digital marketplaces, but Sameer helped guide them in that direction. [29:05] The board understands Kahuna’s mission and Sameer’s vision. [30:25] Sit down with your board and make sure they understand the changes you are making and why. [31:15] Sameer recommends the book What They Don’t Teach you at Harvard Business School. [33:22] One tool Sameer thinks has added value to his life is an app called Blinkist.